HARLINGEN — A man accused in the death of a prominent Port Isabel woman is scheduled for final announcements in court on Thursday. If convicted, Ronnie Huerta, 33, faces up to 10 years in prison, police said. His case in the death of Elizabeth Sweeten, 61, in a pedestrian-motorcycle crash that occurred last March, is set for trial in the 138th District Court in front of Judge Arturo Nelson at 9 a.m. Monday. Huerta pleaded not guilty on Nov. 5, 2018, to manslaughter and intoxication manslaughter in connection to Sweeten’s death. Sweeten is said to have died instantly after Huerta allegedly struck her with his motorcycle on March 4, 2018, according to police. Huerta’s crash left him with multiple fractures and in a coma for several days after police say he slammed his Suzuki GSX-R1000 into a palm tree on Queen Isabella Boulevard. According to Port Isabel police, Huerta was speeding on his bike coming off the Queen Isabella Memorial Bridge heading into Port Isabel on the night of the crash. Police released information Huerta had tested positive for alcohol and marijuana in his system at the time of the crash. Police said the crash happened at 7:30 p.m. in the 100 block of West Queen Isabella Boulevard near the intersection of North Musina Street. 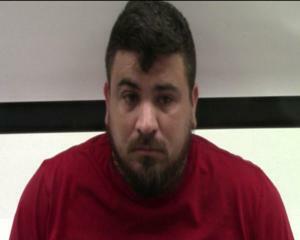 Police did not arrest Huerta until October 2018 at his Mercedes home. At the time of his arrest, Huerta was unable to walk.